HERE are the latest entries we've received for Fishing World's recently relaunched Fishin' Chix Photo Comp. Girls, we'll announce our first winners in coming weeks, so make sure you send in your fishing photos now to win some great prizes courtesy of Fishing World! 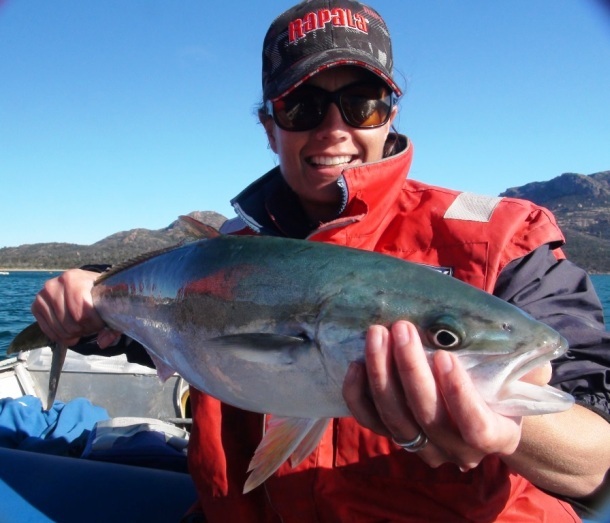 1 - Elise Taylor with her first kingy of the season caught in her backyard on the East Coast of Tasmania. Nice one Elise! 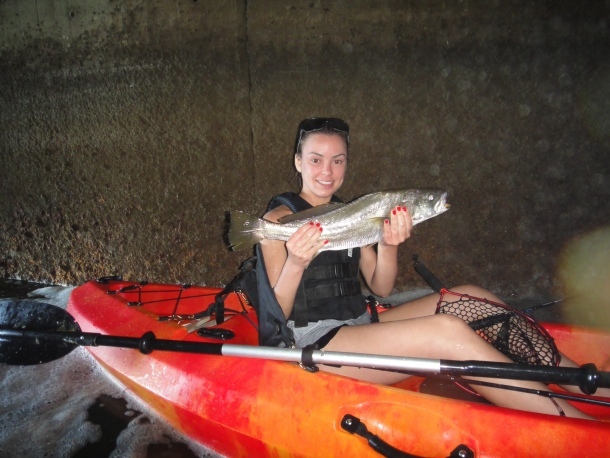 2 - Allira Kennedy enjoyed her first time out in a kayak by catching a 60cm mulloway in the Port River, South Australia. 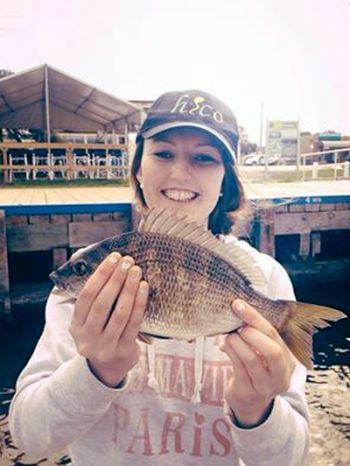 3 - Dylan Henness sent in this pic of Ash who was stoked after catching her first black bream on a lure at Paynesville in Gippsland. 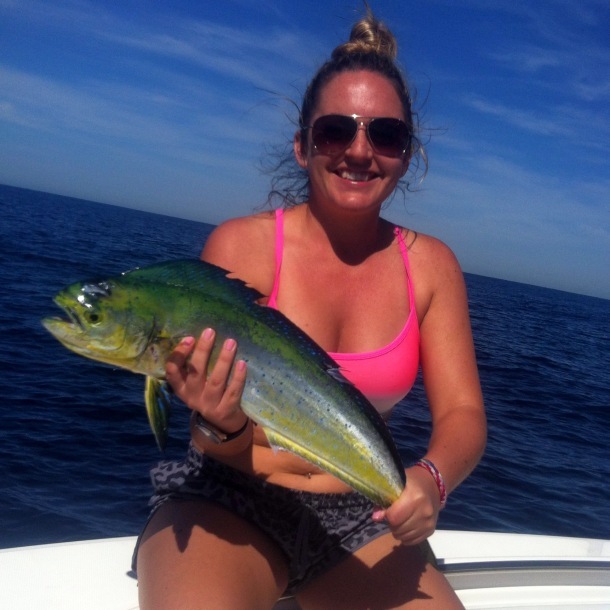 4 - Dom Thornely sent in this pic of wife Katie with a dolphinfish she caught offshore from Port Stephens on a Rapala X-Rap. 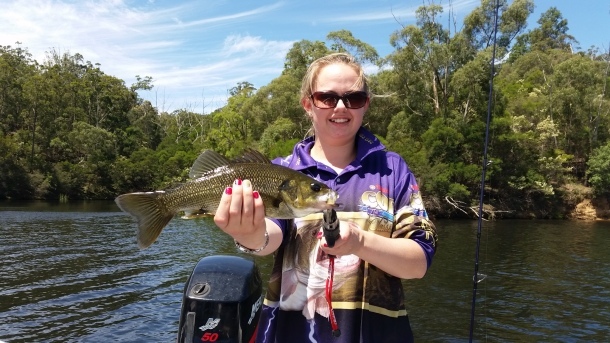 5 - Kyrie with her first Australian bass caught at Brogo Dam on a pink Attack lure. 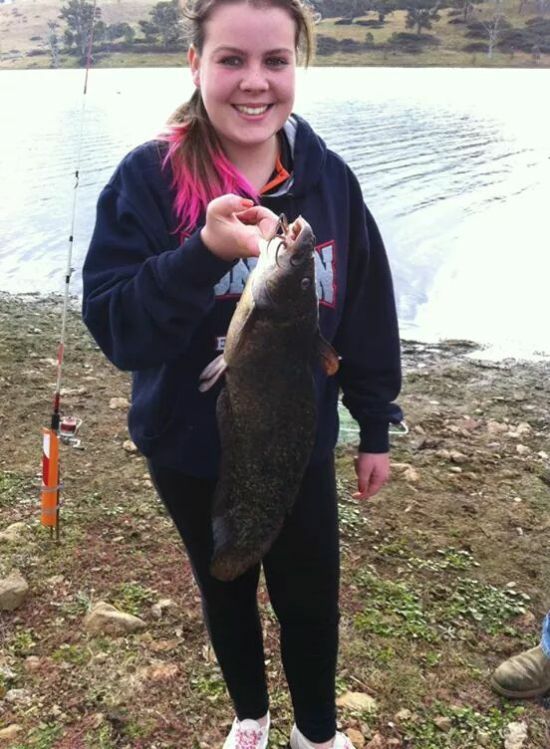 6 - Keen fisher Sam Risby with an eel-tailed catfish caught at Lake Windamere NSW on worms. 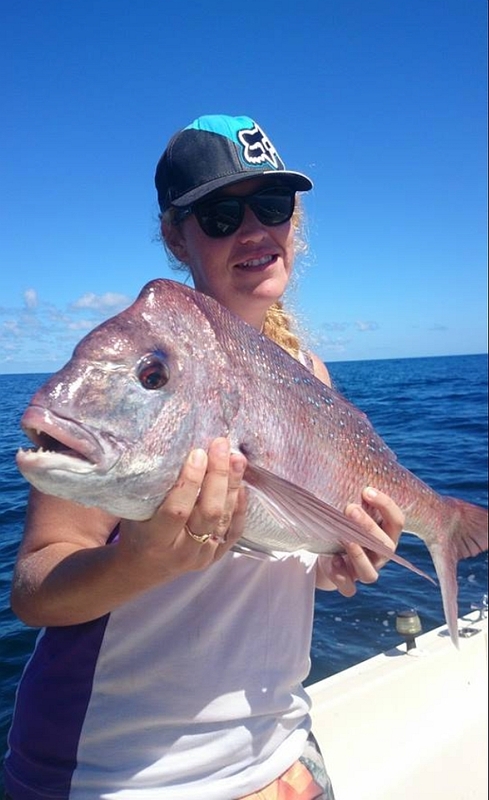 Jess from Hawks Nest, Port Stephens NSW with a nice snapper she caught close to home.